Break Da Bank is one of the most popular series of online slots. It started with the original Break Da Bank, followed by Break Da Bank Again video slot and finally, the Mega Spin version. This is without a doubt one of my favorite slots and the ones that i can just play for hours without getting bored. 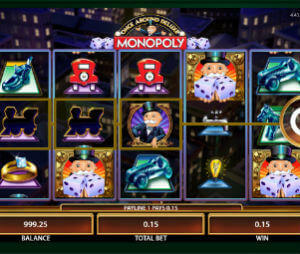 On top of that, with 98% return, this is one of the best paying slots machines online and the loosest Microgaming slot. Break da Bank Again Mega Spin is a 5 reel, 9 lines video slot. However, instead of spinning one set of reels, you will be spinning 4 reel sets simultaneously. The minimum bet per spin is $/€ 0.04 and the maximum is $/€ 90. Here you can try the free version of Break da Bank Again. To play this slot for real money check our list of Best Microgaming Casinos.